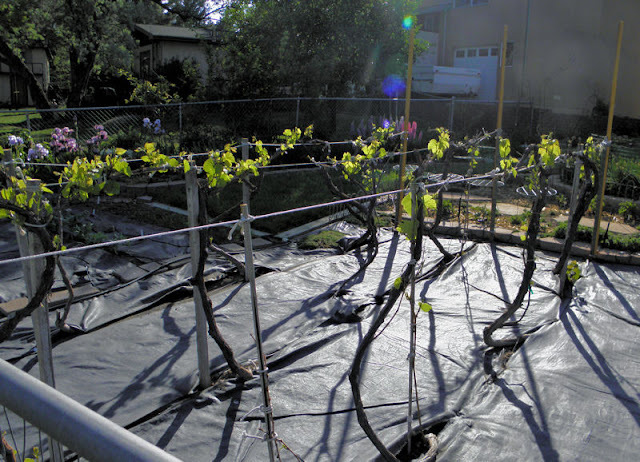 Los Alamos Daily Photo: Back Yard Vineyard? In a house I used to live in there were vines growing over the front door, but as it was on a busy road I never trusted them not to be full of pollution! That's a cool shot. I used to hate wine and now that I've gotten older, I prefer it to most other drinks. Nice image! Looks promising, and I guess YOU have the right temperature for it.